EOTRH is a painful dental condition in older horses, but there are things your vet can do to help. Q: The vet was just out to look at my 20-year-old horse, who’s become difficult to bridle, picks at his food, and won’t even take carrots from my hand anymore. I kinda figured it was a mouth problem, but my vet said regular floating wouldn’t fix this, that my horse has some kind of new disease (with a bunch of letters) that might mean some teeth have to get pulled. Do you have any idea what she was talking about? A: I believe you’re talking about EOTRH, which stands for Equine Odontoclastic Tooth Resorption and Hypercementosis. It’s a newly recognized syndrome in older horses resulting in disease and destruction of incisors and canine teeth, and sometimes cheek teeth. As the disease progresses, the roots of multiple teeth begin to resorb or dissolve, and the body tries to stabilize these teeth by laying down extra cementum (the bone-like substance covering each tooth). This results in hypercementosis or bulbous swellings around the roots of affected teeth. These teeth become infected, abscess, and may loosen or even fracture. In severe cases there may also be significant extension of disease to the bone around the affected teeth. EORTH is a slowly progressive disease, and it’s unknown at this time what the trigger is that starts the process. It’s believed that the process actually begins well before owners and veterinarians first start to recognize signs. EOTRH is a very painful condition for affected horses, and chronically affected horses have weight loss, lack of appetite, attitude changes, hypersalivation (drooling), head shaking, discomfort in the bridle, and other signs. It’s known that both periodontal (gum) disease and dental abscesses are painful, and this syndrome causes a significant degree of both, with usually multiple teeth affected. Because horses are quite stoic and adapt to this chronic pain, it’s typically not until the pain is gone (ie the affected teeth are extracted) that you realize how much the disease was affecting them. 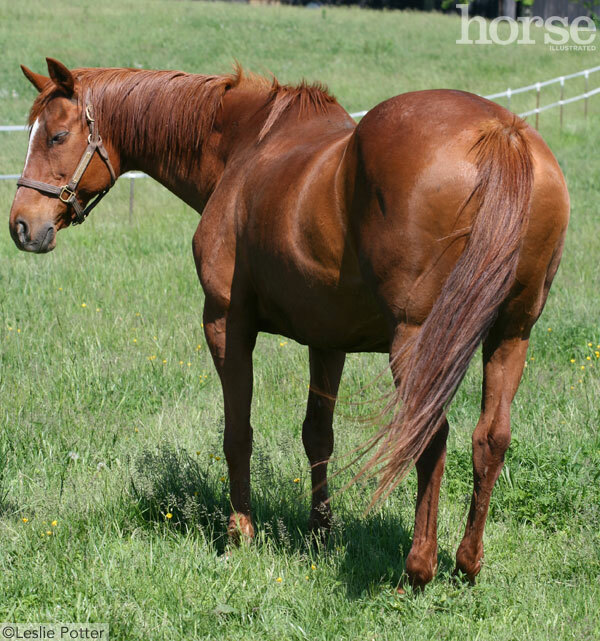 A veterinarian may suspect EOTRH during a routine exam or when asked to look at a horse showing signs like yours. However, radiographs (x-rays) are essential to making a diagnosis, because most of this process occurs below the gumline and cannot be seen. Often there are more severe changes present radiographically than what are expected just by looking at the teeth and gums. Radiographs will show whether the horse has more severe resorption or abscessation, or if there is significant hypercementosis present that could make extractions more difficult. Vets use these images to then make a plan for extractions, deciding whether they should be removed in stages (if only a few teeth are affected) or if all the incisors and canines require extraction due to advanced disease. Regarding extractions, horses tolerate these very well and usually remain standing under heavy sedation with local nerve blocks so they cannot feel anything happening in the mouth. Afterwards, pain medications and antibiotics are usually prescribed. These horses are typically eating a soft, soaked pelleted mash or chopped or pelleted hay before going home the same day and back to normal feed the following day. They generally start feeling better within 24 hours of having chronically infected and painful teeth removed, and owners frequently report a noticeable difference in their behavior and attitude. If EOTRH turns out to be the diagnosis in your horse after a follow-up exam and radiographs, follow your vet’s advice and in no time your horse should be back to his old self!